A healthy-living friend of mine recommended me this place. Real Food serves largely organic and vegetarian food (all very clearly labelled - vegan, gluten-free, garlic/onion-free, etc). They started out as an organic grocer with a few tables for dine-in bites. But demand for their food grew so much that they had to expand and take up the next unit. They've also opened up a second outlet at Killiney. I do like the simple, chic and cosy ambiance. Nice place to chill. They still have a corner selling organic goods. The food though, is a mixed bag, and may not sit well with everyone. But if you're a strict vegetarian or vegan, the choices here might be interesting for you. They've got all-day breakfasts, salads, sandwiches, pastas, pizzas and desserts. This was probably the best dish of the lot that we tried. 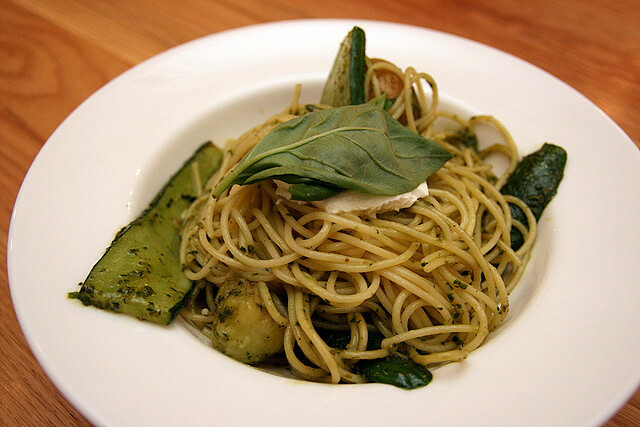 Some pasta with pesto Genovese, zucchini, potatoes and feta cheese (about S$9.80). Do crumble the cheese and mix it in well, as the pasta might be a tad bland without the saltiness of the cheese. My friend absolutely loves the mushroom noodles (vegan, about S$8.80) here. 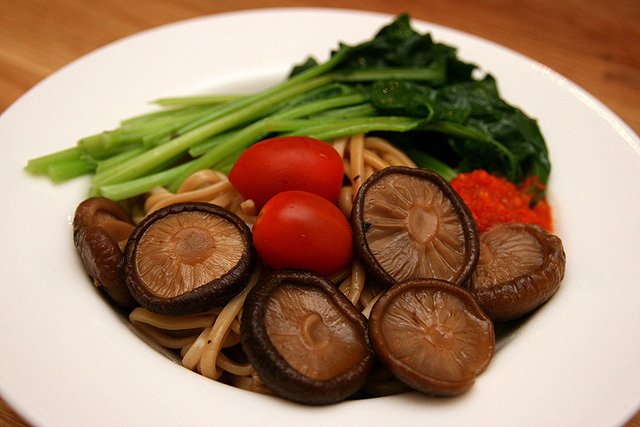 Wholegrain Japanese ramen noodles, braised shiitake mushrooms, cherry tomatoes, and leafy greens. I do have to agree the ingredients are beautifully fresh, and the sauce smooth-tasting. But maybe my expectations were raised too high, for it didn't wow me as much as I'd hoped. For me, it was the unexpectedly fiery chili sauce on the side that lent the dish a kick. 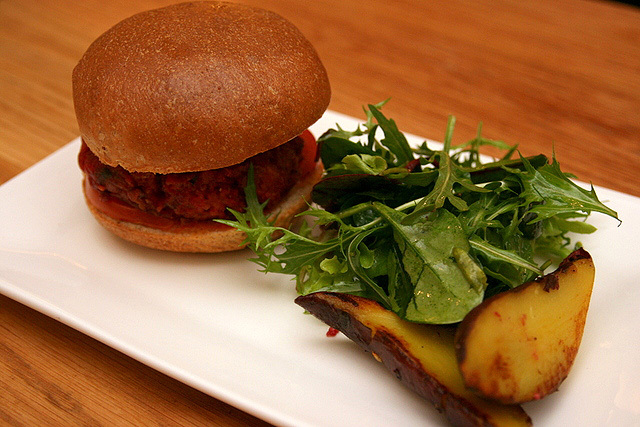 The Beet Burger (about S$13.80) has a bright maroon patty made from beetroot, carrot, sweet millet and zucchini. Pity the texture was too mushy. And I've been ruined by the Beet Burger at Skyve - however, that one costs S$30+ but it does come with a mountain of most excellent truffle fries! This used to be called "You Can't Beet This" but they've added a Lentil Burger as well, so this got named The Beet Burger for simpler differentiation. So far, I've only tried these three dishes. I hear the pancakes, salads and brown rice sets are good. The organic juices also came recommended, although prices have gone up. Note that they do keep "improving" the flavours, so the next time you go there, the same dish might taste quite different. Service is a little slow, and portions are a little on the small side. All three of us were not full after our mains. The good thing is - no GST or service charge, so prices are nett. That doesn't seem so bad for organic fare. Anyway, good to see more vegetarian and organic choices in Singapore. I'm always hoping for more healthy and tasty options, so if you know of any, gimme a holler. This is one of my favorite places to eat at! Since I'm a vegetarian this is a great place!